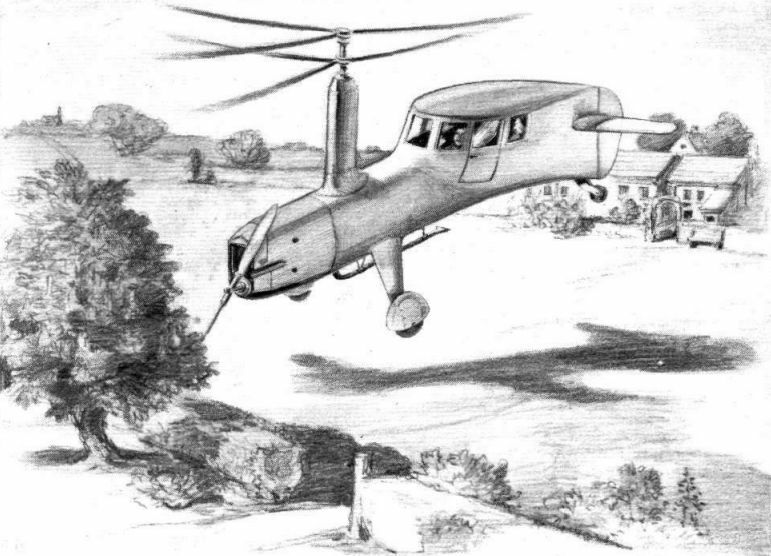 A Flight artist's impression of the Asboth helicopter, drawn from plans of the Hungarian inventor. The two sets of rotor blades revolve in opposite directions, thus cancelling out torque reaction. VISION OF THE NOT-SO-DISTANT FUTURE? 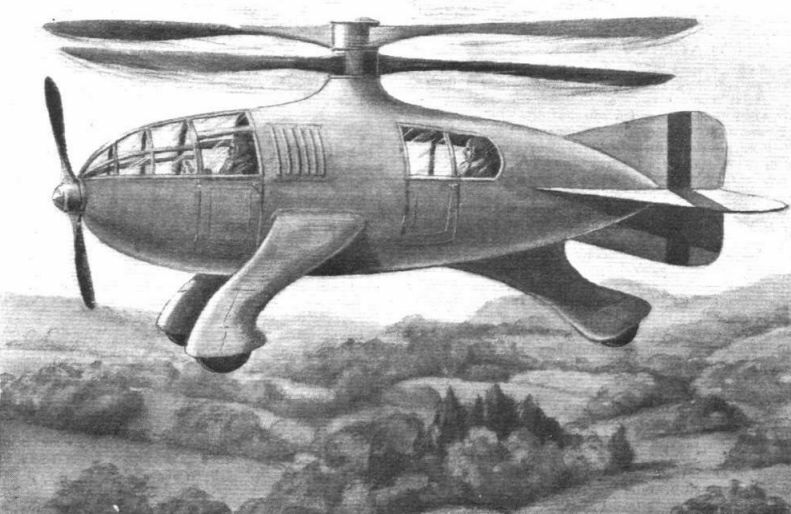 In Flight of March 21 there appeared an artist's impression, drawn from the inventor's plans, of the Asboth helicopter. Here is another sketch, made from revised designs. The engine-driven rotors for vertical lift revolve in opposite directions, thus cancelling out torque reaction. The original experimental machine has many hours of efficient flying to its credit.